The Annual Circle of Friends Gala and Auction is our largest fundraising event of the year. Each May, we are pleased to host a variety of over 400 guests, volunteers, and donors. The success of the gala would not be possible without the generous support of corporate and private sponsors. This year's Gala will be held on May 9, 2019 at the Royal Sonesta Hotel in Cambridge. We are delighted to announce that the 2019 Avon Children’s Friend Award will be presented to longtime supporter Gilda M. Nogueira, President and CEO of East Cambridge Savings Bank. We're also introducing the James Huntington Award this year, which will be presented to John P. DiGiovanni, who is President of Trinity Property Management and the longtime president of the Harvard Square Business Association Board of Directors. 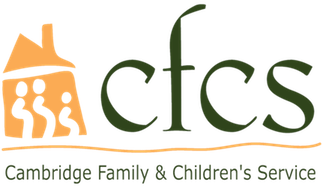 We will also be giving the Ted Rose Award to the members of the Cambridge Savings Bank Street Team in recognition of their volunteer efforts on behalf of CFCS and other local non-profits. Proceeds from the evening directly support our programs and provide children, youth, and families across Massachusetts with essential services and opportunities throughout the year. The evening includes a cocktail reception, silent and live auctions, and dinner accompanied by a presentation of CFCS' important work in the community. We invite you to host a table of your friends, family, and colleagues, and share with them the feel-good event of the year!